A Belfast businessman has said he has hundreds of hours of tapes showing an “ingrained culture of inappropriate and possibly illegal conduct” across political, banking, legal and accountancy sectors. 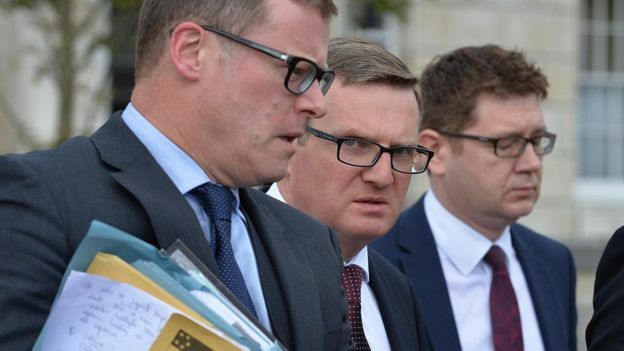 Gareth Graham was giving evidence to a Stormont inquiry into the National Asset Management Agency’s (Nama) £1bn sale of its Northern Ireland loan portfolio. Loans held by his property companies were sold to Cerberus, the US investment fund, as part of that deal. Mr Graham said he has tapes of “thousands” of phone calls made by Frank Cushnahan, a businessman who worked with him and was later a Nama advisor. The tapes were made between 2005 and 2008 when Mr Cushnahan worked with the Graham family’s bookmaking business. The committee was told the tapes would be made available to law enforcement agencies. Phonecalls in and out of the Grahams’ business were recorded for regulatory reasons. Mr Graham claimed Mr Cushnahan was then “intent on destroying our businesses”. Mr Cushnahan has previously issued a statement to the media denying any wrongdoing. Mr Graham added that he has already spoken to the National Crime Agency and made a complaint to the US Securities and Exchange Commission. Mr Graham said Mr Cushnahan relinquished his shareholding in the bookmaking business in 2010 but kept a 5% shareholding in the Grahams’ property businesses. The loans held by those property businesses were later moved into Nama. Mr Graham said that should have led to a declaration of interest by Mr Cushnahan when he became a Nama advisor. Mr Cushnahan has previously said he did give up the property firm interests and that it was due to an “administrative error” that he was still listed as a shareholder. Nama committee minutes seen by the BBC also show that Mr Cushnahan did make declarations of interests on a number of occasions. Mr Graham is fighting a High Court battle in an attempt to win back control of his firms. He told the committee that Cerberus had been “ruthless, unjust and unreasonable”. 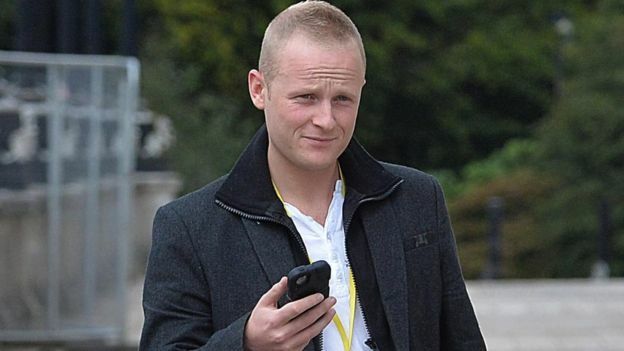 Earlier, the committee voted to call loyalist blogger and flag protestor Jamie Bryson to give evidence to its inquiry. Mr Bryson has made allegations on social media regarding the deal and has written to the committee claiming to have relevant information. Democratic Unionist Party (DUP) members of the committee and the Alliance Party’s Judith Cochrane voted against calling him. The DUP’s Jim Wells said he opposed calling Mr Bryson as he could make “even wilder allegations” under committee privilege than the claims on his blogs. Mrs Cochrane voted against on the basis that the committee needed to take further steps to ensure Mr Bryson’s evidence remains with the inquiry’s terms of reference. The committee has been investigating the circumstances of the Nama deal after an allegation by Irish politician Mick Wallace that a Northern Ireland politician was in line for a £7m payment as a result of the transaction. But it has been constrained in the questions it can ask as events surrounding the loan sale are now being investigated by police. Last week, the Law Society of Northern Ireland appeared before the committee but was unable to give what it called “substantive evidence” after advice from a senior police officer.